A beautifully written, very personal book about finding the gold in the crucible of a crisis, written not to just help you find the strength to survive but to thrive. —Harry H. Harrison Jr., best-selling author of Father to Son, Father to Daughter, Life Lessons on Raising a Boy, and Mother to Daughter. It is a gift to discover that our crises open us to love, to wisdom, and to new lives of deeper service. Knowing that changes everything. But surviving the journey– from the initial shock to regaining your balance to reemergence requires guidance from fellow pilgrims. Susan Mecca is a well-traveled and deeply gifted pilgrim on the perilous mountain trail of life. She is a guide. Take her with you. She’ll see you through. —Michael Lerner, Founder and president of Commonweal and author of Choices in Healing: Integrating the best of conventional and complementary approaches to cancer. 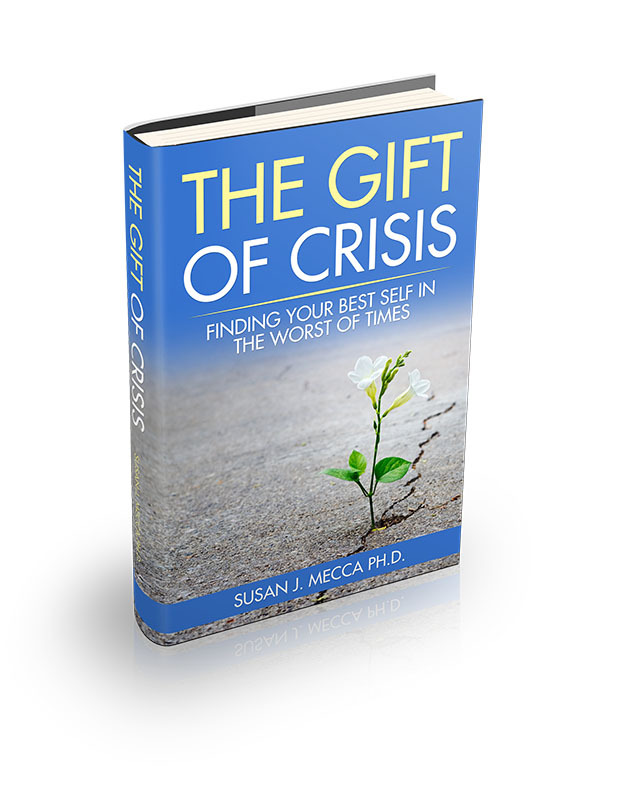 Brimming with real-life examples, tools and proven strategies, The Gift of Crisis maps out a way to navigate through the impossible and heart-breaking events in our lives. It inspires us to bring forth the best of ourselves in order to overcome the challenges we face and uncover the possibilities for personal growth or transformation.